﻿During the past few years, different studies have revealed that developments at the top of the income distribution have had a significant impact on overall income inequality in a number of nations, especially several English-speaking countries. For instance, while the income share of the tenth decile in the United States of America (USA) had declined from 46.3 percent in 1932 to 32.7 percent in 1943 and remained at this relatively low level in subsequent decades, it increased again from 32.7 percent in 1981 to 46.3 percent in 2010 (cf. Alvaredo et al. 2012) . The trend in Germany generally went in the same direction as it will be shown below. There is also another similarity regarding the composition of top earners’ incomes in both countries. Among the highest income groups, the income of top managers – which is statistically classified as labour income – makes up a growing fraction. In particular, the exploding remuneration of board members of incorporated companies and for certain financial professionals led to the emergence of the new phenomenon of the working rich. At least in the US they “have overtaken the ‘coupon-clipping rentiers’” (Piketty & Saez 2007, p. 152). Similar to the trend in the USA, in Germany the top decile income share declined after World War II from 37.3 percent in 1936 to 31.4 percent in 1961. However, while the income share of the top ten percent in the United States started to rise again at the be-ginning of the 1980s, a similar upward trend in Germany did not set in until the late 1980s. Still, based on income data including capital gains, it can be clearly seen in Figure 1 that the top decile income share continued to grow over the past few years. While it accounted for less than 33 percent in the early 1980s, it had increased to roughly 38 percent in 2007 and thus reached the level of the early 1930s again. Parallel to the rise in top income shares, the composition of the highest incomes in the USA has changed significantly in the past decades. For example, while the incomes of the top 0.1 percent of the distribution primarily consisted of capital income at the beginning of the twentieth century, the shares of both salaries and business income have exceeded the share of capital income since 1975 and 1988, respectively (cf. Alvaredo et al. 2012). Although the developments in Germany are much less pronounced than the ones in the USA, it can still be concluded that wages and salaries have also become more important across German top income groups over the past years. For instance, while the wage portion of the top 0.1 percent accounted for 15 percent in 1992, it had risen to approximately 21 percent in 2005 (cf. Bach et al. 2009, Figure 1). When looking at top incomes, it is important to consider that there is a concentration of certain occupations in high income groups. A study of the USA found that executives, managers, supervisors as well as financial professionals are generally found in the highest income quantiles (cf. Bakija et al. 2010; quoted after OECD 2011a, p. 351). For Germany, Bach et al. (2009) conclude that the number of managers has markedly increased within the top income groups in recent years. In search of any explanation for the growing high level incomes that are paid out to these professions, the standard theory of personal income distribution based on marginal productivity suffers from some important shortcomings. According to the standard approach, much of the earnings dispersion that occurred in recent decades in several advanced economies has been explained by a tendency towards higher qualified labour, resulting in an increase in skill premia of the better educated (cf. OECD 2011a). Three arguments cast doubt on this assertion: Firstly, it cannot explain why there are such large differences between employees with the same or very similar qualifications. Secondly, income disparity has been growing over time; however, it is not reasonable to assume that skill premia have also risen continuously in the past or will do so in the future. Reacting to the growing demand in qualified labour it can be expected that the education system in advanced societies adjusts accordingly. As the increase in the additional demand for skilled labour is finally matched by additional supply of skilled labour, the wage differential grounded on skill premia between the qualified and less qualified should remain constant. And thirdly, in practice the accurate measurement of the marginal contribution of an individual worker in today’s world is almost impossible. Modern economies are characterised by a high degree of (international) labour division in which the measurement of marginal productivity makes sense only when applied to a team but not to the individual. Other approaches also seem to be of limited suitability to explain the rising incomes of top managers. For example, according to the theory of superstars huge differences in employment income can be explained by a “winner-takes-all principle”, where only the best one in his or her field acquires a major slice from the cake even if he or she is performing only slightly less well. One must cast doubts, however, whether top executives can be ranked unambiguously according to their managerial skills. There is a long list of literature covering the problem of how to measure skill, performance and success of managers (cf. Martocchio 2011, pp. 65). Moreover, in management it is not ensured that the best will always reach the top as many examples of inept executives and cases of outlandish mismanagement have been demonstrated. Over and above that, many executives simply owe their job to networks in which relationships rather than proven skills can be far more important. Having dealings with influential people has often been a major success factor for business people on their way to the top. The theory of superstars seems therefore ill-suited to explain executive compensation. Another approach is the so-called tournament theory which compares the structure of success and pay in sports tournaments (cf. Lazear & Rosen 1981). The basic idea rests on the argument that having high pay differentials between different managerial ranks can be an effective method to maximise overall productivity. Still, this theory cannot explain the core of the story since it is difficult to argue how big the gap between different levels of the hierarchy has to be to make the system function best. Rising remuneration for top managers may increase productivity at the top of the pay pyramid. However, it can also lead to demotivation and frustration among all other employees. Eventually, insights provided by the theory of social comparison in combination with the assumption of managerial rent-seeking behaviour could be helpful in explaining the increasing absolute and relative remuneration at the top. In the USA and to some extent in Germany, executive compensation is usually determined by so-called compensation committees. According to the theory of social comparison, this procedure has a major impact on the level of income granted to executives. Members of these committees were observed to base their pay decisions or pay recommendations on their own earnings, since they compare themselves to similar individuals (cf. O'Reilly et al. 1988). The reasons behind the rising top (executive) incomes might also be found when analyzing the behaviour of an influential group of rent-seeking decision-makers (cf. Krueger 1974). As Bebchuk & Fried (2004) argued, the high levels of executive compensation have their roots in managerial rent-seeking. If this were true, the rent-seeking individuals of today are not classical rentiers, living on land and capital property, but have to be regarded as a very special type of modern privileged labourers. Rising income differences are critical in a social and economic sense. They jeopardise social cohesion and are said to inhibit long-term economic growth (cf. Berg & Ostry 2011). Thus, it is doubtful whether the recent developments of top income shares in Germany and other countries are socially and economically sustainable in the long run. Ultimately, the question arises of what can be done to counteract this evolution. One simple approach is to raise taxes for high income earners, since the strong rise of in-come shares at the top of the distribution implies that “their ‘ability to pay tax’ has increased.” (OECD 2011a, p. 370). Realised capital gains occur when assets are sold at a higher price than the buying price. 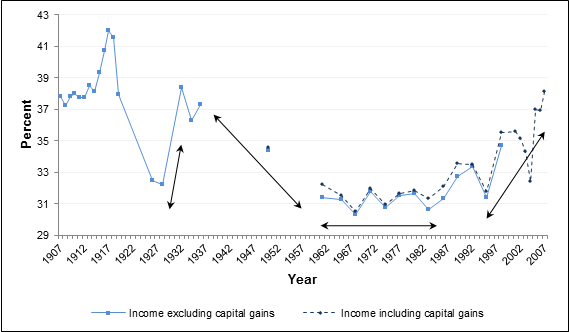 While income excluding capital gains is less dependent on current developments on fluctuating capital markets, income including capital gains is somewhat more volatile. 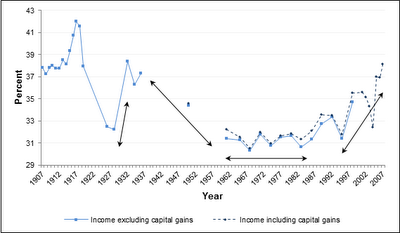 However, incomes excluding and including capital gains develop quite similarly over the long-run (cf. Saez 2005, p. 404). According to Dell, realized capital gains “[…] become significant only in the top income groups […] [(above the 99.5 percentile)]” (Dell 2005, p. 414). Following Atkinson, Piketty, and Saez, salaries include wages and salaries, bonuses, profits from exercised stock options, and pensions. Business income consists of self-employment income, partnership income, and small business income. Capital income includes interest income, dividends, rents, and other investment income (cf. Atkinson/Piketty/Saez 2011, p. 8; Saez 2005, p. 404). 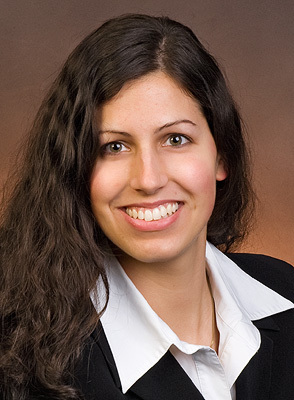 Christina Anselmann is a research student whose research interests include macroeconomiccs and income inequality. 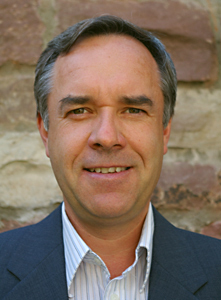 Hagen M. Krämer is a professor of economics at the Department of Management and Engineering at Karlsruhe University of Applied Sciences (Germany) whose research interests include income distribution and growth.